Joshua Nelson and his group will perform at the Hebrew Center. The Hebrew Center in Vineyard Haven is about to rock. True, the center has been rocking intellectually, spiritually and culturally all summer long with their varied programming, but next weekend they will literally rock. The lineup includes Joshua Nelson and his Kosher Gospel Singers with special guest, Lisa Gutkin. Mr. Nelson has played the Vineyard before. 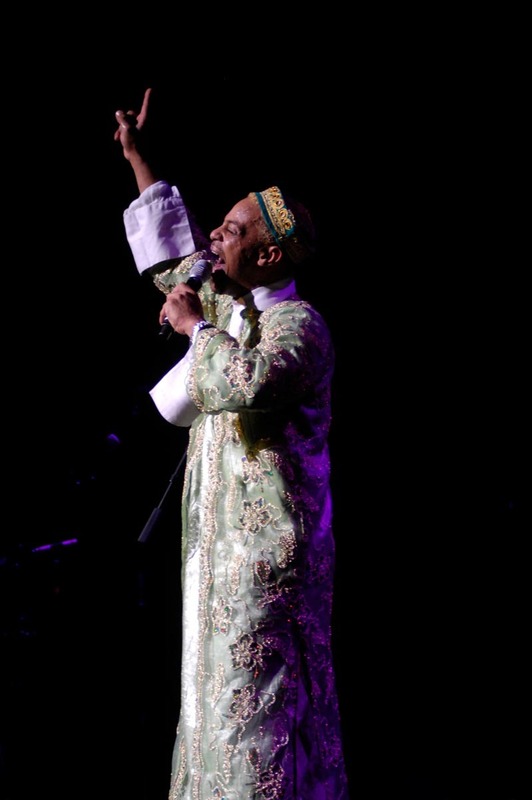 He calls himself the prince of kosher gospel and, truth be told, there may not be a huge castle of contenders out there waiting to knock him off his throne. Are there any other Jewish/African Americans playing a hybrid new sound of soulful music meets Hebrew prayers out there? But this does not mean that he is not a master, plowing forward as a visionary at the top of his musical game. Mr. Nelson has sung with Aretha Franklin and Wynton Marsalis. He is a sight to behold and a joy to hear. The concert is Tuesday, August 21. But wait, there’s more. Lisa Gutkin joins Mr. Nelson this year. For those not in the know, Ms. Gutkin is a member of the Klezmatics, a Grammy-award winning band who for 25 years has redefined this genre of music. It’s origins beginning with the Ashkenazi Jews of Eastern Europe, klezmer music has evolved over the years from traditional dance tunes and instrumental display pieces for weddings and other celebrations. Upon arriving in America the genre assimilated jazz and other musical forms. The Klezmatics even set music to Woody Guthrie lyrics in their Grammy-award-winning album, Wonder Wheel. Ms. Gutkin’s playing was described as “a piece of genius,” by Pete Seeger. Tickets for the concert are available at Alley’s General Store, the Hebrew Center, C’est La Vie, Cousen Rose gallery, Aboveground Records and ticketsmv.com. The cost is $25 for adults, $15 for students, with preferred seating of $100 or $150 for two. The show begins at 7:30 p.m.